Yesterday it was 70 degrees here in Central Montana. Today it is 30 and snowing. Welcome to spring in Montana! 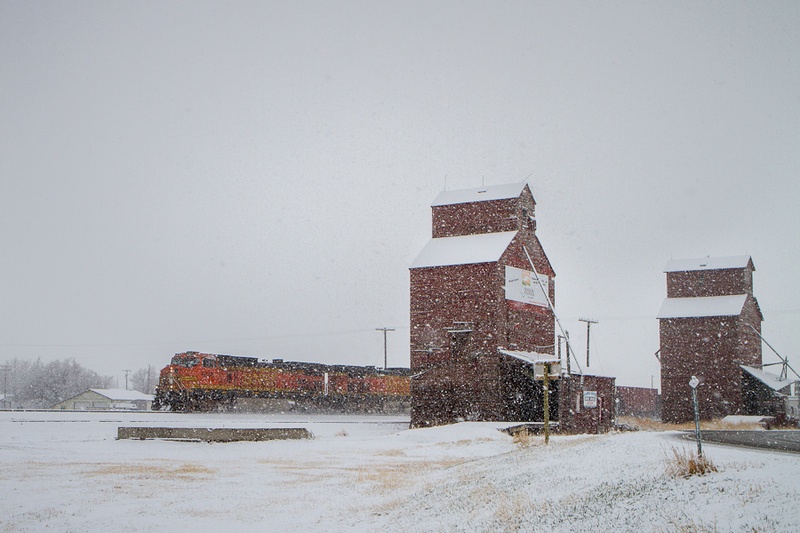 The train in this image is a unit train from Great Falls and is headed to Pipestone pit near Whitehall, Mt. This is one of several trains expected today including the Lost local which is on its way to Moore as I write this. Since it was so warm yesterday the roads are mostly wet so getting around to photograph trains in the snow is fairly easy. Hopefully I’ll have a few more snow images from today.